Baylor University Medical Center selected th+a, in partnership with Freeman White, for the expansion and renovation of its existing Emergency Department. A facility originally constructed in 1985, the emergency department suffered from high patient demand and an inefficient layout. It was one of only two Level One Trauma units in North Texas, and was already serving over 78,000 patients per year. Patient demand far surpassed the department's ability to provide care, and wait times exceeded three hours. th+a's team assessed the department and identified its core needs, establishing goals for efficient staffing, effective use of ancillary spaces, enriched communication, improved ergonomics and technological flexibility. The team also crafted a strategic project plan to ensure that the facility remained fully operational throughout the process. By earning buy-in from clinical staff, maintaining detailed scheduling of construction phases and shut-downs, and ensuring clear communication about goals and timelines, the team was able to effectively fulfill the hospital's vision. The team reconfigured the department around three operational and care-team units, distributing them throughout the space to both minimize travel distances between units and to assist with operational efficiency during non-peak hours. A centralized core provides support services, medication, food services and staff areas to all three units. 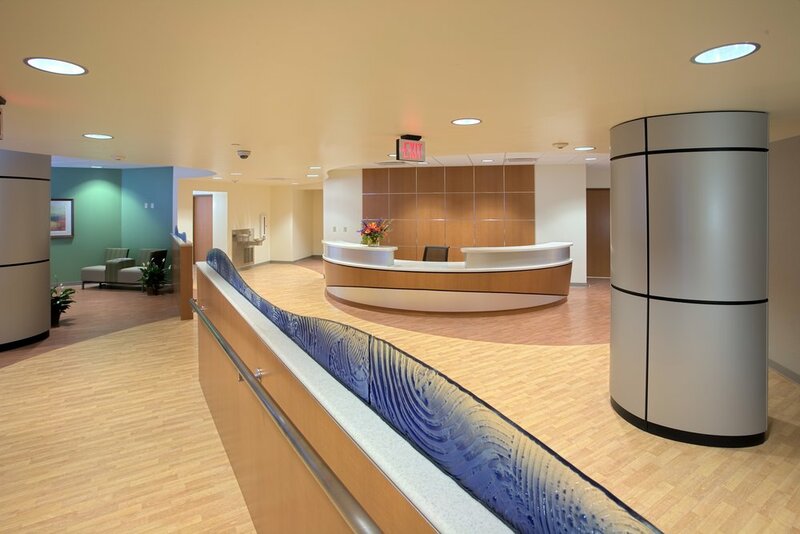 To double the facility's patient capacity, the design team expanded the department's footprint and increased the number of beds from 34 to 87. A large new trauma unit, built to accommodate up to eight injured persons, was outfitted with dedicated digital imaging, and additional imaging equipment on overhead rails was added to support all four trauma bays.